I have two, possibly three children with high functioning Autism. If your child is not developing properly as a young child or baby then your health visitor will generally lead the way to seeing if your child has autism or other special needs. Often, though, autistic children can slip through the net and diagnosis does not happen early. My eldest child was not diagnosed until he was twelve years old. This was partly my fault, because although I knew he was ‘different,’ I did not know anything about Autism and thought he was just an awkward child. It’s not easy to admit there is something wrong with your child. This is often the first hurdle, admitting that your child is different, that something is wrong. With my eldest, both myself and his Dad would not accept that his behaviour was anything other than him being naughty, a typical boy. His Dad would say, “he’s just like me when I was a kid.” But he wasn’t. Well, he may have been, but his difficulties lay much deeper, his problems more complex. They appeared more obvious as he became older and he needed help. With Star, it was different. I accepted that she was having problems just like her older brother, and had thought that maybe she too was autistic. However, I still kept my thoughts to myself until her teacher at school said she thought she might need further intervention and asked us to refer her to a child psychologist. We did, and she was diagnosed at six years old. That’s a whole six years earlier than her brother. And I’m so glad that we did because she has coped so much better with school than her brother did. Now, we suspect that the Little Man may have issues. Only it’s hard to admit. Is he autistic or not? We have had suspicions and his early years definitely point to it, but his Dad swears he’s just like him when he was a child (Is history repeating itself?) The Little Man is having a difficult time at school and I’ve suggested we get him some help, maybe a talk with a psychologist, see if he is autistic. His Dad thinks we should move him to another school. I do think that a new school may be the answer for now, but not long term. You’d think that this far down the line it would be easier to admit to there being something wrong, but it really isn’t, not ever. This is one area that seems to have gone backwards instead of forwards. It is said that there has been a huge rise in autism diagnosis, but because of the rise it is taking longer for the diagnosis to take place. With my eldest, I know I held off getting him a diagnosis, but once I’d got past that and arranged for him to see a psychologist, the diagnosis came quite quickly. There was an interview with me and him. A little interview with him (which didn’t really happen because he refused to speak to her.) And a report from his school. That was it, a diagnosis of Asperger’s Syndrome. With Star, again the diagnosis was fairly straight forward. The main difference was that instead of a report from the school, she was observed at school. Her diagnosis was High Functioning Autism. Now we are still considering whether the Little Man has Autism or his problems are related to something else. The school has raised concerns so we went to the GP who told us he couldn’t refer him. The next step is to ask the school to refer him for assessment, but as I’ve already stated, the school has already told us they can’t and that it’s down to the GP. Already we are being passed from pillar to post without any help and we haven’t even reached the assessment stage. I’ve found with both my autistic children that once they get a diagnosis things start to get better. On a basic level it seems easier to accept that their behaviour is so different because they have a diagnosed condition. They still need disciplining like any other child, but deep inside it helps to know that they can’t help it. School life can also become easier. These days a lot of school have a good understanding of the needs of an autistic child. With my eldest it was more difficult because the school were unhelpful, they had no idea how to cope with a child with autism and their first step was to put him in the special needs unit. Some autistic children do not have learning difficulties, my children don’t. Putting my son in the special needs unit was the worst thing they could have done and he rebelled, a lot! Eventually, after several meetings with the school I decided my only option was to take him out and teach him at home. This triggered a whole lot of help that I wasn’t offered before. He had a tutor that would come to our home and teach him one on one. Then he was given a place at a special school for children who couldn’t go to a regular school. This ranged from children with sickness, broken limbs, emotional problems and young pregnant girls. My son fitted in fine. He didn’t have to speak to anyone or make friends which suited him fine, but he did get to learn and eventually do his GCSE’s. It wasn’t problem free, I lost count of the number of times I had to go and collect him and bring him home because he was ‘acting up’ or being unresponsive. But, it worked for us, much better than his previous school. None of this would have been available had he not been given a diagnosis. I’ve written a lot about my daughter at school. She goes to a mainstream school which is very good with it’s autistic pupils and she is getting along fine. The future is the unknown with any child not just autistic ones. But deep in your heart, when your child is autistic you have to accept at some time that the future may not turn out the way you wish it to. If your child is high on the spectrum then you will probably realise that your child will always be with you and the independence you would normally expect your child to achieve someday may never happen. Star, has ambition, and I do hope that one day she achieves a lot more than we expect. But although I’ll encourage her all the way I will always know that her autism is the hurdle we will have to overcome if she is to achieve independence. I guess, I have learnt my lesson. A little too late. I didn’t write about the A word last week, it’s not that I didn’t have anything to say, it’s just that I didn’t really know what to say. Unlike many others I was still seeing a desperate mum in Alison, while many others were still disliking her. This week, the last episode, we saw something else in Alison. A situation she couldn’t control, she couldn’t bully her way into getting a result, although she may have tried at one point. Joe, the five year old newly diagnosed autistic boy went missing. The whole village were enrolled to look for him. Alison had to admit to everyone that Joe had autism. Alison declared that she wouldn’t try and change him and that she accepted him for who he was. As the hours went by and the search was fruitless, emotions were high, both on the screen and in my living room. My boy went missing, it was awful. He was gone for hours, we all scoured the streets, we called the police, we answered questions, we looked some more. Then he came back. He hadn’t run away, he was just out walking. Tension within the house had become too high and he felt the need to go for a walk. Over the years he did this several times, before and after his diagnosis. In fact, he still does it now, he will just leave the house and walk and walk. You may think that is not unusual in a grown man, but normally he does not leave the house alone. When we first moved here three years ago he got lost on his first ‘walk’ because it was an unfamiliar area and this was very distressing. Thankfully, we found him. It never stopped him. 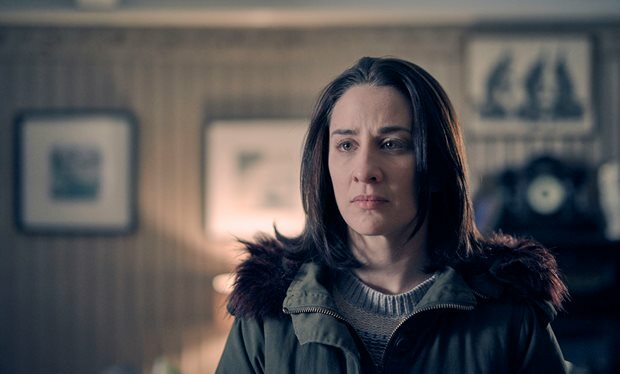 The A Word portrayed the despair that families feel while looking for a lost child. You will do anything to find them, the desperation grows by the minute while they are gone. The panic, the fear, the pounding in your chest that doesn’t settle. It’s so difficult, so painful, so worrying. I cannot imagine what it must feel like for those parents who have children that have not returned. In our house the first few times the return was also stressful. He would not understand why we were panicked, he had no idea of the fuss he’d caused. On a couple of occasions a police officer came out to see him the next day to tell him how dangerous it was for him to go off on his own and told him not to do it again. He took no notice. My first reaction to him coming home would be to hug him and just be thankful that he was back. He didn’t understand why I was behaving like this and mostly just wanted to go to his room and lie down because he was tired and worn out. We learnt to adapt, you don’t get used to it, but you do adapt. Now he’s grown up I still worry, my biggest fear being that he doesn’t come back, or he gets attacked in the street. The fact that he is over six feet tall and pretty big doesn’t stop me worrying. I know that not all autistic children do this, my daughter doesn’t. It’s a really difficult thing for families to deal with, but to the autistic child, it’s a release, it’s a way of coping. Back to the drama, many people have been annoyed at the parents for allowing to let Joe go out wandering each morning. Maybe they could see it was his way of coping, they were sure he’d be picked up each morning and brought home, as indeed he was. Maybe they had become a little complacent though. This routine did not bother them, but when Joe decided to wander at an different time then the panic was released. To Joe, it was just another way of coping, it was his release. The conclusion of the drama was good for the family as a new phase of acceptance was clear. We all know that the journey from there on is not going to be easy for them, but with acceptance they can begin to work together as a family and deal with all that Joe’s autism throws at them…hopefully! I do have one question though…are there EVER any buses in that village? The A Word and the Un-accepting Mum. 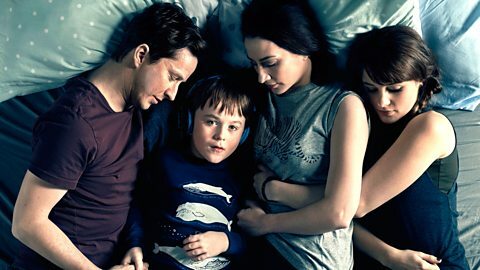 As you know I’ve been avidly watching the A-Word, the BBC drama on Tuesday evening at 9pm. Last week the mother of the newly diagnosed autistic child was not painted in a very nice light. As a result she’s not been getting much love or support from the community in general. This week, again she was seen as pushy and un-accepting of her son’s diagnosis, desperately wanting him to suddenly be normal. This was shown by her excitement when her child showed empathy and more understanding of his world while running a fever. Generations of parents of autistic children have reported that when their child is running a fever their autistic symptoms seem to abate. I cannot vouch whether this is true or not, it’s not something I’ve experienced with my children. I’ve been in the situation where I refused to accept my child’s differences. When the school said they were worried, I went out and bought loads of educational tools and sat with him day after day, making sure he was more than ready to do the work they provided for him at school. In fact, it wasn’t the work he ever had trouble with, it was his behaviour. This was just me in denial. In my head, because I knew nothing at all about autism at the time, I thought it meant that he had learning difficulties and refused to believe that any child of mine could be born ‘stupid.’ Forgive me, I was young and naive. The diagnosis period was an extremely difficult time. Even though I’d come to terms with there being a problem, in particular, one that I couldn’t solve myself, it was still hard to believe it couldn’t be fixed with some magical wand or something. Acceptance is difficult, this your child they are talking about! The drama also showed the mother feeling ‘locked out’ while she saw other’s able to communicate with her son in a way she was unable to. She was jealous, and it showed. I too have experienced this. Not with my son, but with my younger daughter. She is high functioning and very verbal, but her behaviour seems so much different with others than it does with me. She relates mostly to her dad, she loves it when he’s been totally silly, he can always make her laugh. I’m the serious one, the one that refuses to read her books backwards or in a silly voice. She hugs him far more than she hugs me. Her excuse is I smell minty, I don’t even like mints but I tried to hug her once shortly after cleaning my teeth and she hates the smell of mint. I do feel jealous a lot, but I try not to let it show. It’s not her fault, or her Dad’s. 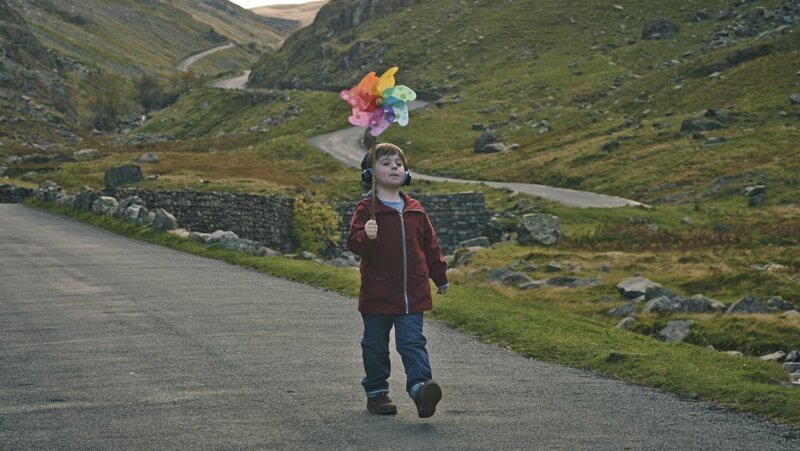 The drama also shows the neurotypical (i.e.no autistic) child being pushed aside and ignored. The daughter, Rebecca, is always being let down by her mother, she gets ignored, is the subject of snappy retorts whenever she dares express her opinion, and feels as though she is being pushed out of the family. She ends up confiding all her personal stuff with her uncle and his wife. My children have been closer in age but I’ve still been guilty of planning things based on the autistic child’s needs rather than their siblings. Sibling have missed out on days out, parties and probably loads more at some point during their lives. Eventually things have evened out and I’ve worked out how to make life easier on the siblings, but at the beginning I couldn’t help it, I didn’t know how I could do things better. It’s a steep learning curve. So what about Alison, the mum in the tv program? Is she really so awful? Why do people hate on her so? It’s as if the program is deliberately set out to make her not very likeable. In my personal opinion, I think differently. I think she’s probably more realistic than any mum would like to admit. We all think that we would go that extra mile for our children, but do we do it forsaking all others in the family? Do other siblings suffer because of our mission to do the best for one child? Do we feel jealous when other people find a way to reach our child that we seem unable to reach? Do we wish that our children were perfect or at the very least not too different to other children? If we are honest we have probably been through similar stages like this whether our child has autism or not. I think Alison is a fair representation of a mum of an autistic child. Even if it’s only for a small part of our lives we can feel and act the way she has done. I actually feel sorry for Alison. I’m sure she will come to terms with it eventually, accept her son for the way he is. She will still jump through hoops to help him in whichever way she can, but then she’ll be perceived as the fierce mother who will do anything for her child, rather than the demon she is coming across as because of her un-acceptance of her child’s condition. What do you think? Would you admit to relating to some of Alison’s faults or do you think she is just a bossy, a bully and generally unlikable character?